Mrs. Polly Lewis Williamson Copsey, died peacefully in her sleep after a 16 year battle with Parkinson’s disease and Lewy Body dementia. She was an honorable wife, devoted mother, grandmother and great-grandmother. Polly was the daughter of James Roy “Pop” Lewis and Pauline Holloway Lewis and was a native of Lincoln County, GA. Polly was loved by countless millions as a singer through her live performances and television appearances both locally and internationally with the Gaither Homecoming video series, during her 58 year gospel music career with her family, The Lewis Family. From an humble beginning in 1951, The Lewis Family rose to prominence as America’s First Family of Bluegrass Gospel Music singing for fans throughout the United States and the world wherever their music was played. They performed in such prestigious venues as the Lincoln Center in New York City, NY, The Smithsonian Institute, Washington, DC and the Grand Ole Opry in Nashville, TN. It was approximately April 1954 when they began their own TV show at WJBF-TV in Augusta, GA, appearing on Sunday mornings. The show ran every Sunday for a national record of 38 years, ending in 1992 due to the family's demanding travel schedule. The Lewis Family continued to record a Christmas show for WJBF until the group's retirement in 2009. At the time they retired, The Lewis Family on stage included Miggie, Polly, Janis, Little Roy, Lewis Phillips and Travis Lewis.. The Lewis Family first recorded in the early 1950's for the Hollywood label. Then they recorded two 78's for Sullivan, who was also the Lewis Family's first sponsor on TV. The Lewis Family spent 15 years recording for Starday, and 16 years at Canaan. After a few years at Riversong, the Lewis Family signed with Daywind Records rounding out their five decades of musical recordings. Some of the Lewis Family's best known original songs featured Polly, such as "Slippers with Wings", and "Hallelujah Turnpike". During their years of travel, The Lewis Family averaged 100,000 miles and 200 concerts each year. For 22 years The Lewis Family Homecoming & Bluegrass Festival was held in their hometown of Lincolnton, GA, at the Elijah Clark State Park. Their fans have included such diverse viewers as former First Lady Mamie Eisenhower and rock legend Elvis Presley. The Lewis Family was inducted into the Gospel Music Hall of Fame in 2005, The Georgia Music Hall of Fame in 1992 and the International Bluegrass Music Association's Hall of Honor in Nashville in 2006. 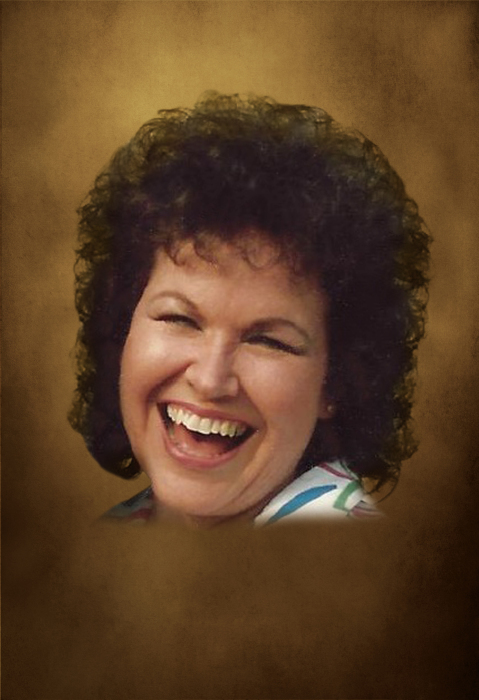 Polly was inducted into the Southern Gospel Music Hall of Fame in 2013. Polly was a member of Hephzibah Baptist Church in Lincolnton, GA. Preceding her in death are her parents, Pauline (Mom) Holloway Lewis and James Roy (Pop) Lewis: her first husband of 24 years, Elzie Williamson; also, her husband, Leon Copsey; her sister, Miggie Lewis, her brothers, Mosley and Wallace Lewis and her grandson, Blane Williamson. She is survived by her daughter, Sheri Easter (Jeff); her son, Scott Williamson; her grandchildren, Madison Easter (Shannon), Morgan Easter-Smith (Landan) & Maura Easter, Paige Williamson, Brittany Williamson Harrison (Evan), and Blake (Brittney) Williamson; great-grandchildren, Kayden Vaughn, Liam and Olivia Walker, Gracelynn Williamson, Hadley and Jasper Williamson and Miles Easter; one sister, Janis Lewis Phillips; three brothers, Esley Lewis (Evelyn) of Hephzibah, GA, Talmadge Lewis (Cornelia) of Evans, GA, and Little Roy Lewis (Bonnie). Our deepest and sincere thanks to her long term caregivers, Melissa Gibbs, Sara Lieb, Nita and Richard Maxwell, Shannon Easter, Morgan Easter-Smith and Bernice Wilson, and Regency Hospice, Penny and Joyce. Funeral services will be held on Tuesday, August 21, 2018 at 4pm at Hephzibah Baptist Church. Interment will follow in the church cemetery. Serving as pallbearers will be Keith Lewis, Joey Lewis, Stan Lewis, Mike Lewis, Lewis Phillips and Walker T. Norman. The family will receive friends on Monday, August 20th from 7pm until 9pm at the funeral home.